The only thing worse than having to do laundry is having to do it at a laundromat. Amiright? But what if you could make art, keep the kids entertained, and connect with your neighbors while you washed your clothes? The Laundromat Project makes that possible by bringing free and fun kid-friendly drop-in art workshops to Harlem, Bedford-Stuyvesant, and Hunts Point. Workshops include silkscreening, smoothie-making, neighborhood-themed self-portraits, and more! The Laundromat Project is a community-based non-profit arts organization committed to the well-being of people of color living on low incomes. Understanding that creativity is a central component of healthy human beings, vibrant neighborhoods, and thriving economies, we bring art programs to where our neighbors already are: the local laundromat. In this way, we aim to raise the quality of life in New York City for people whose incomes do not guarantee broad access to mainstream arts and cultural facilities. How juicy is that?! Beats watching telenovelas or zoning out on my iPhone, which is what I used to do when I had to use the public laundromat. What's the most fun you've ever had in your local laundromat? Do you wish there was something like this in your city? Olivia, When we traveled to Europe a few years ago, one of my daughters and I spent 3 hours in a laundromat in Trier, Germany trying to do our laundry. we brought our journals and markers and drew mandalas and watched the locals and the tourists come and go. It was a lot of fun! 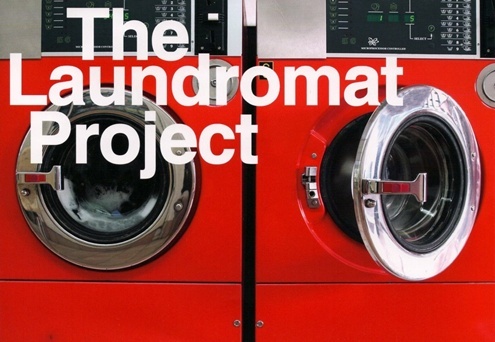 The Laundromat project sounds like a win-win. You and your daughters seem to have fun wherever you are. Love it!